6’ncı yüzyıl sonlarına doğru Roma elçileri Batı Türklerinden İstemi ve oğlu Tardu’yu ziyaret etti. Amaçları ortak düşman Sasanilere karşı bir bağlaşma sağlamaktı. 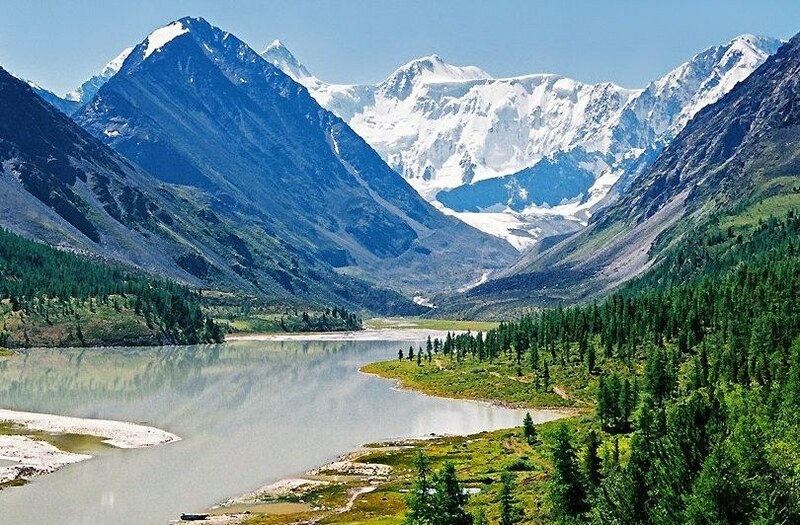 There are two main subdivisions of the language: Northern Altay in Altai Krai, and southern Altay in the Altai Republic, where it has official status along with Russian. 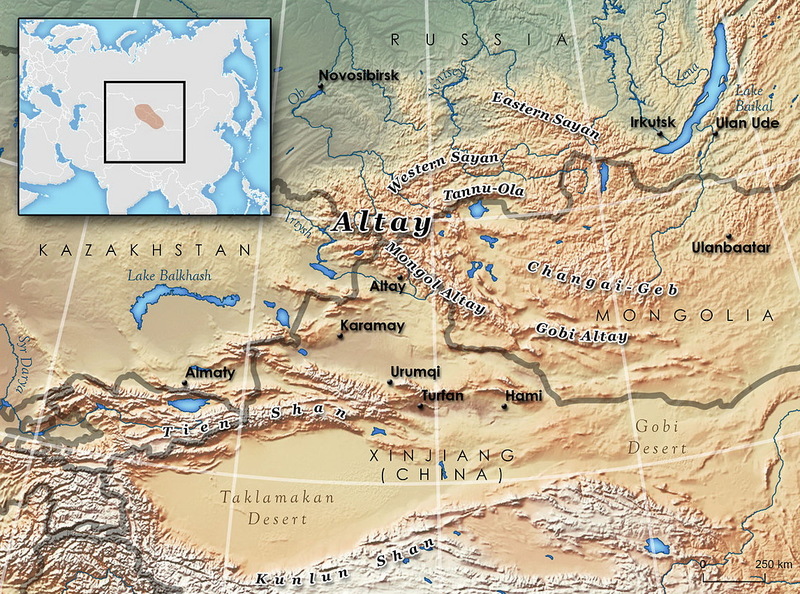 Northern Altay dialects include Tuba, Kumandy, Turachak, Solton, Starobardinian and Chalkan; and Southern Altay dialects include Altay proper, Mayma, Telengit, Tölös, Chuy and Teleut. 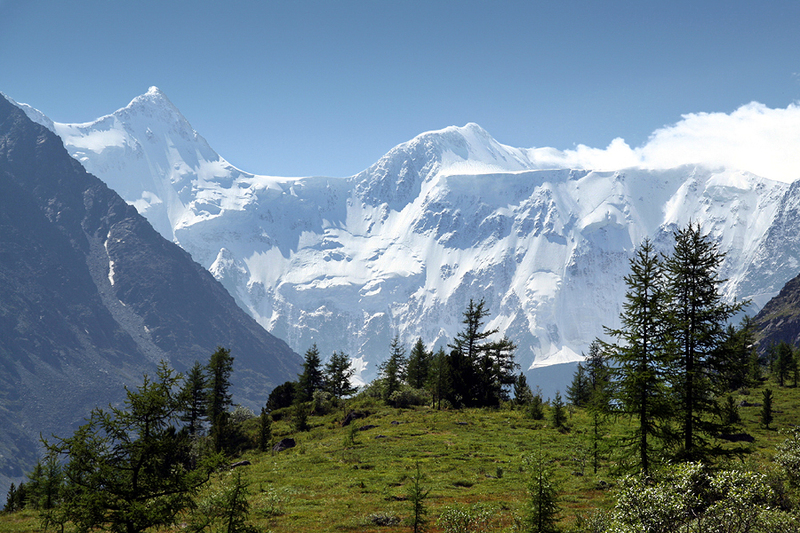 Altay was first written in the 1840s with a version of the Cyrillic alphabet devised by missionaries. The southern Teleut dialect was used as the basis for the written language. A revised Cyrillic alphabet and literary language was introduced in 1922. Altay was written with a version of the Latin alphabet from 1928, and with a new version of the Cyrillic alphabet from 1938. Note: The Old Turkic runes were originally written from right to left. Just happened when I copy pasted the text it turned to left to right. This video is extracted from 36 Lectures course called "The Barbarian Empires of the Steppes" instructed by Professor Kenneth W Harl. During the 11th century the Seljuk Turks who were admirers of the Persian civilization grew in number and were able to occupy the eastern province of the Abbasid Empire. By 1055, the Seljuk Empire captured Baghdad and began to make their first incursions into the edges of Anatolia.When the Seljuk Turks won the Battle of Manzikert against the Byzantine Empire in 1071, it opened the gates of Anatolia to them. In the 8th century, they formed a tribal confederation conventionally named the Oghuz Yabgu State in central Asia. The name Oghuz is a Common Turkic word for "tribe". Byzantine sources call the Oghuz the Uzes (Οὐ̑ζοι, Ouzoi). By the 10th century, Islamic sources were calling them Muslim Turkmens, as opposed to shamanist or Buddhist. By the 12th century this term had passed into Byzantine usage and the Oghuzes were overwhelmingly Muslim. The Oghuz confederation migrated westward from the Jeti-su area after a conflict with the Karluk branch of Uigurs. 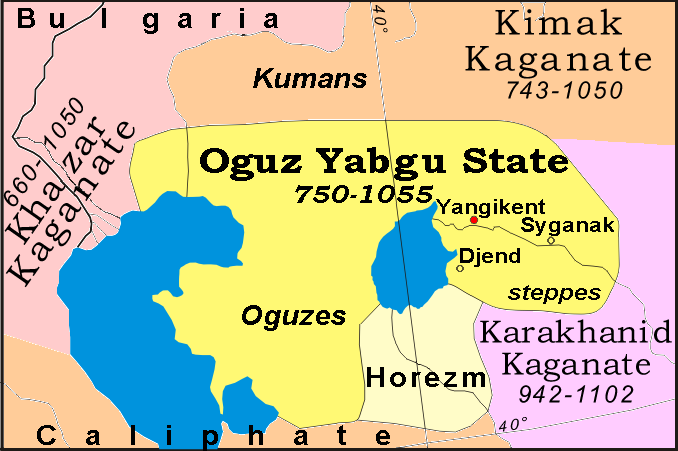 Oguz Yabgu State in Kazakhstan, 750-1055. The founders of the Ottoman Empire were descendants of the Oghuzes. 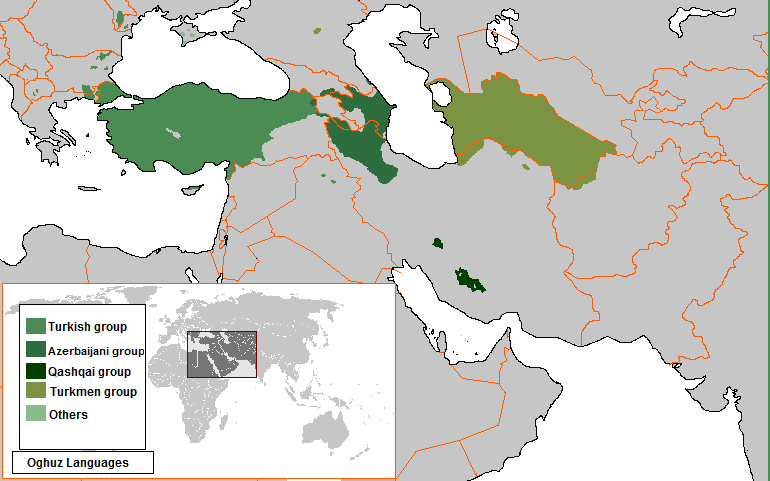 Today, a percentage of the residents of Turkey, Azerbaijan and Turkmenistan are descendants of Oghuz Turks and their language belongs to the Oghuz (also known as southwestern Turkic) group of the Turkic languages family. In the 9th century, the Oghuzes from the Aral steppes drove Bechens from the Emba and Ural River region toward the west. In the 10th century, they inhabited the steppe of the rivers Sari-su, Turgai, and Emba to the north of Lake Balkhash of modern-day Kazakhstan. A clan of this nation, the Seljuks,embraced Islam and in the 11th century entered Persia, where they founded the Great Seljuk Empire. Similarly in the 11th century, a Tengriist Oghuz clan — referred to as Uzes or Torks in the Russian chronicles — overthrew Pecheneg supremacy in the Russian steppe. Harried by another Turkic people, the Kipchaks, these Oghuz penetrated as far as the lower Danube, crossed it and invaded the Balkans, where they were struck down by an outbreak of plague, causing the survivors either to flee or to join the Byzantine imperial forces as mercenaries (1065). The Oghuz seem to have been related to the Pechenegs, some of whom were clean-shaven and others of whom had small 'goatee' beards. According to the book Attila and the Nomad Hordes, "Like the Kimaks they set up many carved wooden funerary statues surrounded by simple stone balbal monoliths." The authors of the book go on to note that “Those Uzes or Torks who settled along the Russian frontier were gradually Slavicized, though they also played a leading role as cavalry in 1100- and early 1200-era Russian armies, where they were known as Black Hats.... Oghuz warriors served in almost all Islamic armies of the Middle East from the 1000s onwards, in Byzantium from the 800’s, and even in Spain and Morocco.” In later centuries, they adapted and applied their own traditions and institutions to the ends of the Islamic world and emerged as empire-builders with a constructive sense of statecraft. “The term ‘Oghuz’ was gradually supplanted among the Turks themselves by Türkmen, ‘Turcoman,’ from the mid 900's on, a process which was completed by the beginning of the 1200s." Here is what original Turks look like. Chinese did also described some Turks tribes with blonde hair, blue eyes, red hair, green eyes but they always distinguished the Iranic Caucasoids with the Mongoloid and Mongoloid-Europoids with those traits. The Oguz Yabgu State (Oguz il, meaning Oguz Land, Oguz Country, 750-1055) was a Turkic state, founded by Oghuz Turks in 766, located geographically in an area between the coasts of the Caspian and Aral Seas. Oguz tribes occupied a vast territory in Kazakhstan along the Irgiz, Yaik, Emba, and Uil rivers, the Aral Sea area, the Syr Darya valley, the foothills of the Karatau Mountains in Tien-Shan, and the Chui River valley (see map). The Oguz political association developed in the 9th and 10th centuries in the basin of the middle and lower course of the Syr Darya and adjoining the modern western Kazakhstan steppes. The first reference of the Oguz State is by the Arab geographer Yaqubi, who called Oguzes "kings". In Zhetysu the old Oguz capital was Guziya. The Chinese sources that ascend to the 7th and 8th centuries state that the Oguz confederation Tokuz Oguz (Chinese Gu-su, Кut for Oguz) is consistently shown in the vicinity of Issyk Kul – Talas, from the Issyk Kul area the center of the Oguz confederation shifted to the lower course of the Syr Darya under pressure of the refugees of the Sary Turgesh tribe. In 766, after Karluks overran the Türgesh Khaganate in Zhetysu (southeastern modern Kazakhstan), Karluk tribes formed a Khanate centered there under the rule of a Yabgu, and they occupied and transferred their capital to Suyab. 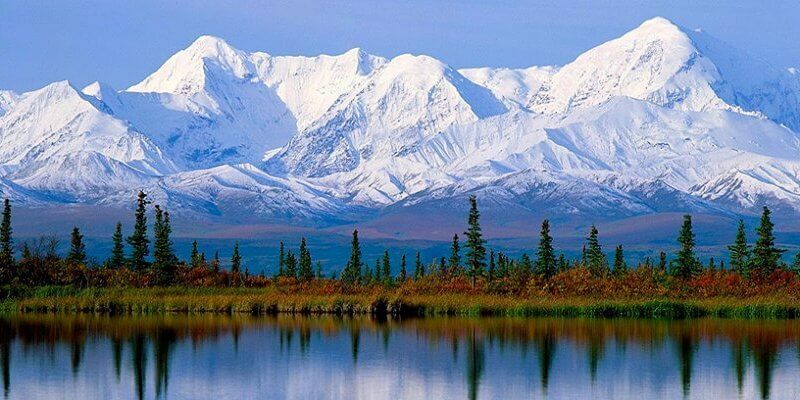 By that time the bulk of the Uch-Karluk (Three Karluks) confederation had left the Altai, and the supremacy in Zhetysu passed to the Karluk tribes. After the Oguz confederation lost a struggle with the Karluks for leadership in the Turgesh Kaganate, a significant part of Zhetysu Oguzes migrated to the Karatau Mountains foothills and the valley of the Chu River in the Issyk Kul basin. At the beginning of the 9th century the Oguz confederation, in alliance with Karluks and Kimaks destroyed the Kangar Union and captured the lower course of the Syr Darya river and the Aral steppes, displacing the Kangars and Pechenegs. The nomadic tribes of the Syr Darya Kangars were forced to join the Oguzes, and a part of them migrated to the west to the northern Black Sea region. The Oguzes moved their capital to Yangikent and became known as Oguz Yabgu State. The state was founded in Eni-Kent which was an Oguz yayla (summer village). Oguz il extended from "Issyk Kul and Almalyk, in the south, to Sairam, in the west, to the city of Yangikent, which stands at the mouth of the river Syr (Syr-darya), and to the Kara-Kum (desert)." The capital of the Oguz il was variously spelled Eni-Kent, Yangikent, Djanikand, Yenikent, Yanikand, all meaning New City, and also in Arabic literature al-Kariya al-Hadisa and in Persian literature Deh-i Hay; presently it is a Central Asian ghost town Jankent. The state was ruled by the leader of the Oguz Turks with the title Yabgu, which is similar to other Turkic ruling titles such as Khan and Kagan/Hakan, but initially with a status below Kagan/Hakan. The army was commanded by Subaşı. “Sü” (su) means “Soldier” in Turkish and "başı" (bashi) means "the head of" or "the ruler of". The Oguz State played an important role in the military and political history of Eurasia. In 965 the Oguz State allied with Kievan Rus in a war against the Khazar Kaganate. In 985 the alliance with Kievan Rus defeated Volga Bulgaria, which increased the political power of the Oguz State. At the turn of the 10th-11th centuries, popular uprisings broke out against excessive taxation in the state. The revolts became especially strong in the second half of the 10th century, during the rule of Ali Yabgu. The split between the ruling Oguzes and Seljuk branch of Oguzes turned out to be detrimental to the state. The upheaval was used by the Seljuk branch, who led an uprising and took Jend, but soon they were forced to leave the Jend area. During the reign of the last Oguz Yabgu Shahmalik the state rebounded. In 1041 Shahmalik Yabgu conquered Khorezm from the Ghaznavids, but two years later he was captured by the Seljuk forces and executed. Shahmalik Yabgu was the last ruler of the Oguz State. Internal turmoil and conflict with the Seljuks weakened the Oguz State. The weakened state fell under attacks by the Kipchak tribes from the Kimak Kaganate. Under the pressure of the Kipchaks, the two branches of the Oguz people split, a significant part of the Oguzes went to Eastern Europe, and the Seljuk Oguzes left toward Asia Minor. Another part of the Oguzes fell under the rule of the Karahanids and Seljuk rulers of Khorasan. 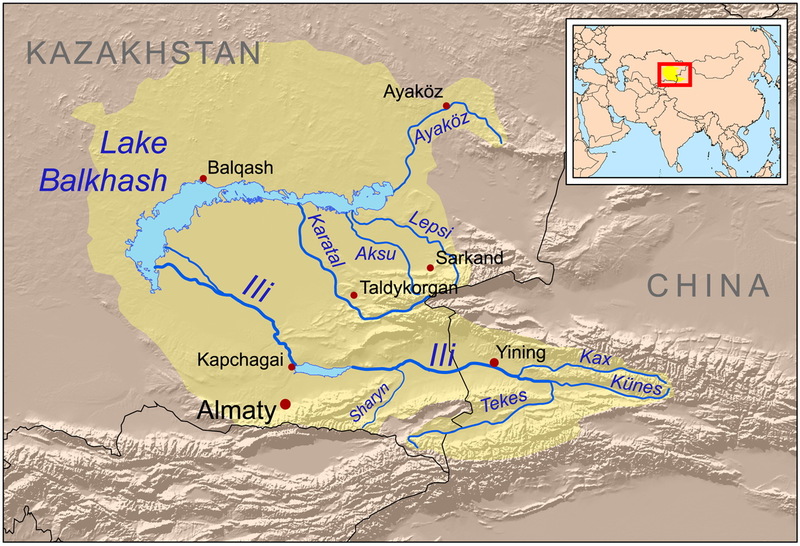 The remnants of those Oghuz defeated by the Kipchaks subsequently dissolved among the Turkic-speaking tribes of Dasht-e-Kipchak. The Oghuz tribes contributed to the formation of many of today's Turkic peoples. In the 11th century, Oguz migration to Persia and the Near East began. The movement was led by the head of the Kınık tribe Tughril and Chaghri Beg, the grandchildren of Seljuk. This migrating group became, in time, the Seljuk Empire. In 1025 a part of the Seljuks settled in the territory of the modern Turkmenistan, centered on the city of Nysa. In 1034-1035, they were joined by Togrul bek's subjects. In 1038-1040, the Seljuks fought against Ghaznavids and captured Nishapur. Subsequently, they were able to create a huge state, which consisted of Asia Minor, Persia, and parts of the Caucasus and Central Asia. The Oguz il state existed for three centuries. Another Turkic group, Kipchaks and Kimeks of the Kimek Kaganate, ended the state by the 12th century. By that time, Selçuk Bey and his Kınık (tribe) headed to Persia to found their own Muslim state, which in the future would become the Great Seljuq Empire, and a part of the state population moved eastward to the N.Pontic areas. The economic base of society was private ownership of livestock. Little is known about the old farming communities in the oases, river valleys, and wetlands. The cities continued to be populated by traders and artisans. The title of the elected ruler was Yabgu. The power was hereditary within a ruling clan. The heir to the throne was called Inal, they were brought up by an Atabek tutor. Elections of Yabgu were conducted at the tribal assemblies. The rulers were chosen by the codex of unwritten rules of customary law – "tore", from the most powerful clans. The power of the supreme ruler was limited by the council of largest military-tribal aristocracy. The wives of the rulers bore a title “Khatun” and played a significant role in the court life. Yabgu was assisted by regional rules titled Kul-Eerkins. An important place was occupied by warlords. A head of the army was called Subashi, from su – army and bash – head. The Subashi was supported by a military council, and actively interfered in political events. The Oguz States was subdivided into uruks and aimaks. The term uruk designated tribal divisions, aimak was an administrative district. The clans and tribes united into larger tribal alliances were known as il (country). By the end of the 10th century formed a formal administrative apparatus and a system of regular taxes. The main religion was the traditional Tengrism, and later Islam. The powerbase of the Oguz State were semi-nomadic and nomadic tribes of Zhetysu and Siberia: Khalaj, Uigurs, Djagra, Charuk, Karluk, Imura, Bayandur, Kai, and the remaining tribes and sedentary population of the Kangar Union that submitted to the Oguz Yabgu. The Oguz State was heterogeneous in ethnic terms. In urban and rural areas lived Turkic and Horezmian-speaking population. The reformation of the Oguz ethnic community was a complex and lengthy process. 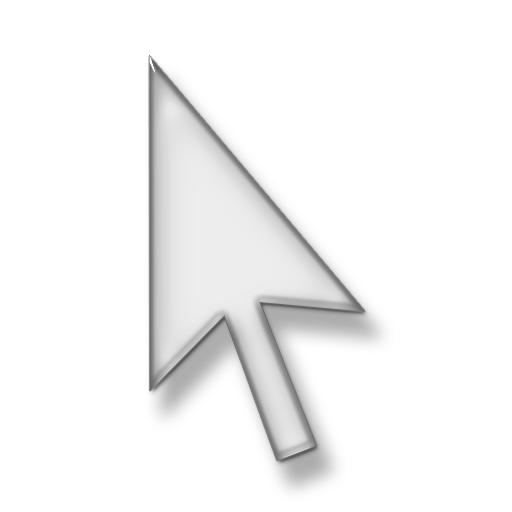 According to the Mahmud Kashgari (11th century) testimony, Oguz confederation consisted of 24 tribes, of which 12 tribes were Buzuks or Bazouk (Turkish: Bozoklar - Grey Arrows), and 12 tribes were Uchuks (Turkish: Üçoklar - Three Arrows). The Buzuk wing had a privileged status. Later authors, notably Marvazi, describe only about 12 tribes. The discrepancy between the sources probably resulted from the Oguz division into two exogamous parts, Buzuks and Uchuks belonging respectively to the right and the left wing of their army. Oguz States share in the Uruk and aimags. The term "Uruk" designated tribal divisions. Clans and tribes, united into larger tribal alliances known as "il" (the country). Kangar Union after fall of Western Turkic Khaganate, 659-750. Remaining rivers flowing to Lake Balkhash. Zhetysu or Semirechye (Kazakh: Jetisu' meaning "seven rivers"; also transcribed Zhetisu, Jetisuw, Jetysu, Jeti-su, Jity-su, Жетысу, Джетысу etc. and Yedi-su in Turkish)is a historical name of a part of Central Asia, corresponding to the southeastern part of modern Kazakhstan. It owes its name, meaning "seven rivers" (literally "seven waters") in Kazakh and Persian, to the rivers which flow from the south-east into Lake Balkhash. The Kengeres, mentioned in the Orkhon inscriptions, were possibly known in the Islamic world and in the west as Kangar, a collective name for three tribes (of eight Pecheneg tribes). Byzantine emperor Constantine Porphyrogenitus stated that Kangar signified nobleness and bravery. Ukrainian historian Omeljan Pritsak suggested that Kangar originated from Tocharian A *kânk "stone" and Kengeres combined Kenger with the Iranian ethnonym As, supposedly from *ârs < *âvrs < *Aoruša (Greek: Αορσοι). However, Golden objected that *Aoruša would have yielded Ors/Urs and Pritsak's opinion on the Kengeres-Kangars' ethnonym and mixed Tocharian-Iranian origin remained "highly hypothetical". Some Orientalists (Marquart, Toltsov, Klyashtorny) attempted to connect the Kangar and Kengeres to the Qanglı, the eastern grouping of the Cuman-Kipchak confederation as well as the Indo-European Kangju in Chinese sources. Axinžanov proposed that the Kipchaks simply assumed the name Qanglı (literally "wagon") after taking over the Kang region. Nevertheless, all of these connections, if any, remain unclear. After the capture of Zhetysu by the Chinese, Kangars become independent from the Turkic Kaganate. They repulsed Chinese from the southern Kazakhstan and Syr Darya cities. The Syr Darya cities retained their autonomy. 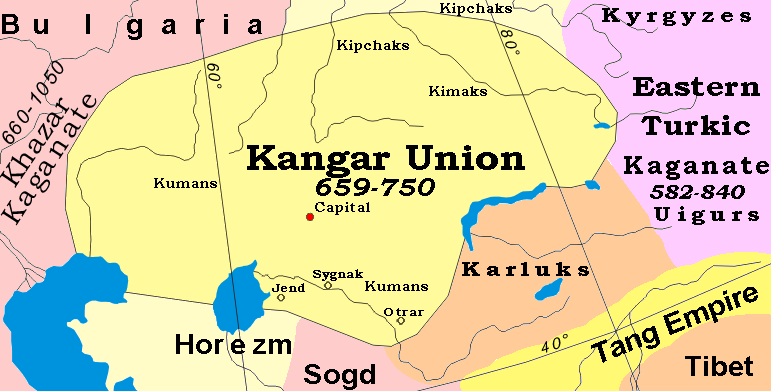 The Oguzes in the southern Kazakhstan, Kimaks in the Irtysh River valley, Cumans in Mugodjar, and Kypchaks in the northern Kazakhstan became the vassals of the Kangar union. At the end of the 7th century the Syr Darya cities rebelled and formed an alliance with the Sogdiana. The revolt was successful, but the Moslem Arab armies attacked Sogdiana from the south. The revolt has waned, and Kangars consented to the continued autonomy of the Syr Darya cities. At the beginning of the 8th century the Oghuz confederation and the city of Tashkent seceded from the Kangar union. The Arabs continued raiding Sygnakh, Jend, and other rich Kangar cities. After the Arabs captured Sogdiana, they attacked the Kangar cities along the Syr Darya. 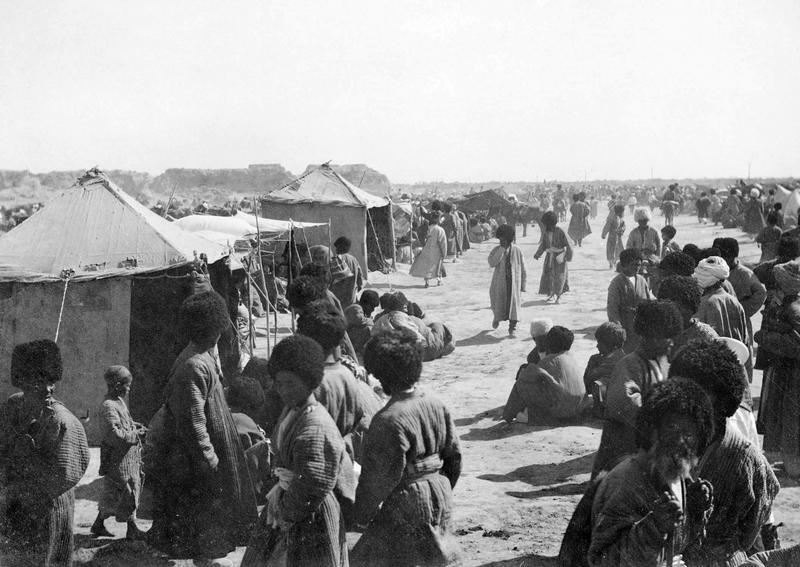 The Arabs captured the southern Kazakhstan, and the Oguz confederation took control over the other Kangar cities along the Syr Darya. The Oguzes formed an alliance with the Kimak Kaganate. The Kangar Union dissolved. The western branch of the Kangars, known in the west under the collective name Pechenegs of their five allied Turkic tribes, captured the lands of the Khazar Kaganate, and created a Kangar successor state in the Eastern Europe. A mass migration of the Oghuz tribes in the middle of the 8th c. displaced population of the Kangar Union on the eastern borders of the Khazar Kaganate, forcing it to move into Khazarian territories. At first, Kangars settled in the territory between Yaik-Emba (Geeh) and Itil (Volga) rivers, then they advanced into the Khazar domain territories. The forceful influx of Kangars and their allied tribes seriously impacted Khazar populations with destruction of settlements and population, and the population mass escape to safer areas to the north and south, and the Magyars of Lebedia to the west. The Kangar tribal Union, better known in Europe as Pechenegs under a Slavic name of their subject allies, occupied a large swath of Khazaria extending from Don in the east to Pannonia in the west. Between the rivers Yaik and Emba, they controlled the Khazar trading route from Itil to Khorezm, dealing a hard blow to the Khazarian trade. The North Pontic Kangar state eventually established coexistent with Khazaria, while dominating North Pontic area of Khazaria from ca. 750 to ca. 900. Constantine Porphyrogenitus named three Kangar tribes (Chor (Charvat), Ertim, Yula), and four Bechen tribes (Kapan, Karabai, Kulbei, Tolmach), and their respective locations. Gardizi (ca. 1050) reported on the situation around 950: "Bechens are nomads following rain and pasturage. Their territory extends a distance of thirty days in either direction (i.e. about 1,000x1,000 km), bordering Kipchaks in the north, Khazars on southwest, Oguz in the east, and Saqlabs (bilad as-Saqaliba, Bulgars) to the west. All these peoples raid Bechens, who likewise raid them...". At the end, Kangars were displaced further west by the migration of the Kipchak tribes, who ca. 990 embarked on a massive migration into the E.Europe, supplanting Kangars-Pechenegs in the east of the Kangar North Pontic state. Zengid Dynasty at its greatest extent. The dynasty was founded by Imad ad-Din Zengi, who became the Seljuk Atabeg (governor) of Mosul in 1127. He quickly became the chief Turkish potentate in Northern Syria and Iraq, taking Aleppo from the squabbling Artuqids in 1128 and capturing the County of Edessa from the Crusaders in 1144. This latter feat made Zengi a hero in the Muslim world, but he was assassinated by a slave two years later, in 1146. On Zengi's death, his territories were divided, with Mosul and his lands in Iraq going to his eldest son Saif ad-Din Ghazi I, and Aleppo and Edessa falling to his second son, Nur ad-Din, atabeg of Aleppo. Nur ad-Din proved to be as competent as his father. In 1149 he defeated Raymond of Poitiers, Prince of Antioch, at the battle of Inab, and the next year conquered the remnants of the County of Edessa west of the Euphrates. 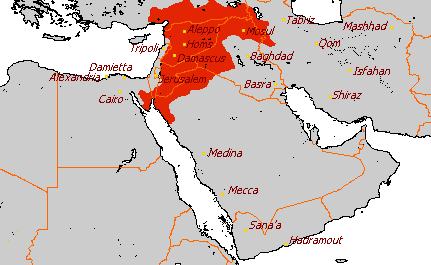 In 1154 he capped off these successes by his capture of Damascus from the Burid dynasty that ruled it. Now ruling from Damascus, Nur ad-Din's success continued. Another Prince of Antioch, Raynald of Châtillon was captured, and the territories of the Principality of Antioch were greatly reduced. In the 1160s, Nur ad-Din's attention was mostly held by a competition with the King of Jerusalem, Amalric of Jerusalem, for control of the Fatimid Caliphate. Ultimately, Nur ed-Din's Kurdish general Shirkuh was successful in conquering Fatimid Egypt in 1169, but Shirkuh's nephew and successor as Governor of Egypt, Saladin, eventually rejected Nur ad-Din's control. Nur ad-Din was preparing to invade Egypt to bring Saladin under control when he unexpectedly died in 1174. His son and successor As-Salih Ismail al-Malik was only a child, and was forced to flee to Aleppo, which he ruled until 1181, when he was murdered and replaced by his relation, the Atabeg of Mosul. Saladin conquered Aleppo two years later, ending Zengid rule in Syria. Zengid princes continued to rule in Northern Iraq well into the 13th century, ruling Mosul until 1234; their rule did not come finally to an end until 1250. Kökensel olarak, tüm Batı Oğuz kabileleri Türkmenler olarak adlandırılırdı. “-men” soneki Sogdian dilinden ödünç alınmıştır. Türkmenler yerli Sogdian nüfus ile karıştılar ve 19’uncu yüzyıla dek kırsal göçebeler olarak yaşadılar. 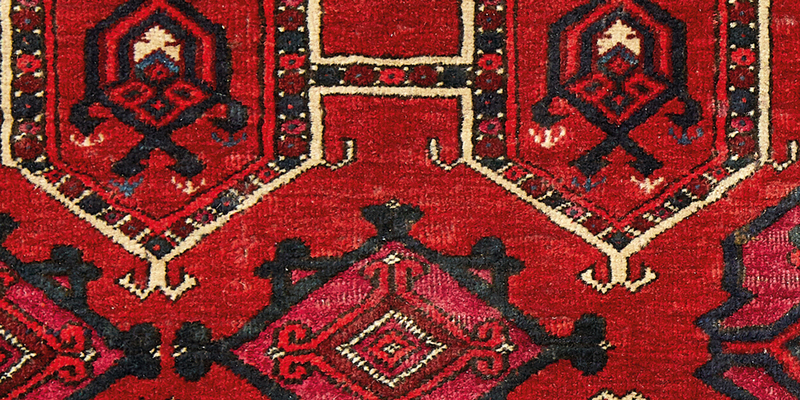 Guardian figures of the four gates of the Turkmen universe, from a Salor heirloom carpet dating from no later than the mid 1800s and perhaps as early as the mid 1700s. The motif recalls the small tent housing the bride on the wedding caravan camel. Birinci küme genel olarak tarih-öncesine aittir. Kırsal ve tecimsel göçebeler yerleşik uygar kültürler ile etkileşim içindedir. Kendini kabile tini ile bütünüyle özdeşleştiren göçebe için bireysellik yoktur ve özgür istenç, duyunç özgürlüğü gibi kavramlar anlaşılmazdır. Orta Asya’nın Türkik ve Moğol kırsal göçebeleri birbirine benzer lehçeler konuşuyor, birbirleri ile sürekli savaş durumunda olan klanlar ve kabileler olarak örgütleniyorlardı. Steplerdeki otlar ile beslenen at ve deve, koyun, keçi ve sığır yetiştiriyor ve nehir vadileri boyunca otlaklar bulmak için sık sık yer değiştiriyorlardı. Şamanizm doğa güçleri ile ilgili bir tür animizmdir ve moral ve etik herhangi bir bağlamdan yoksundur. Esrime durumunda cinler ile ilişkiye geçen şamanların etkinliği büyücülük tarzındadır ve hastalıkların ve doğal kötülüklerin giderilmesini amaçlar. Göçebe kabileler üzerine dayanan İmparatorluklar başka güçler ile ilişkilerinde ne etnik karakter ne de dinsel inanç koşulu üzerine davranırlar. Örneğin Fransa Kralı Katolik olmasına karşın Osmanlı Padişahı ile birlikte Katolik Kutsal Roma İmparatoruna karşı bağlaşma kurar. Tekerklik için zorunlu olan yalnızca tekertir, hanedan değil. Hanedan yalnızca imparatorluğun kararlılığını sağlamaya yarar. 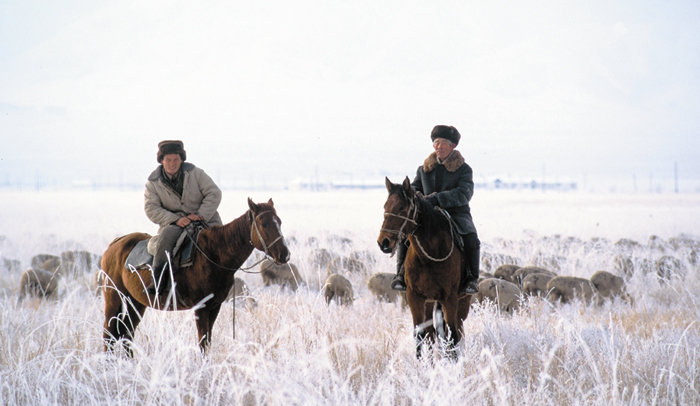 Kazakh sheepherders tend their flocks. 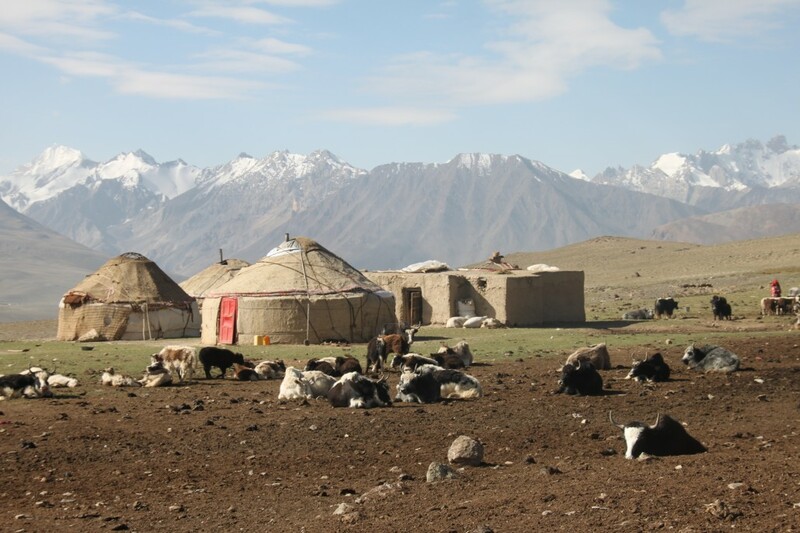 Sheep and goats are the mainstay of the nomadic economy; traditionally their meat provided most of nomads' food, and their wool clothes and shelter. Sınırlı tarım, sınırlı yerleşim ve sınırlı zanaatçılık nedeniyle klan ve kabilelerin yerleşik toplumlar ile tecim ilişkileri zorunlu idi. Seçkinler ve Sıradanlar olarak tabakalaşıyor ve savaş zamanlarında sıradan halk seçkinlerin saltık yetkesi altına giriyordu. Büyük yuvarlak çadırlar keçe yünden yapılıyordu. Kısrak sütünden yapılmış alkollü içki olan kımız içiyorlardı. Turkmens (Turkmen: Türkmenler, Түркменлер, IPA: [tʏɾkmɛnˈlɛɾ]; historically also the Turkmen) are a nation and Turkic ethnic group native to Central Asia, primarily the Turkmen nation state of Turkmenistan. Smaller communities are also found in Iran, Afghanistan, North Caucasus (Stavropol Krai), and northern Pakistan. They speak the Turkmen language, which is classified as a part of the Eastern Oghuz branch of the Turkic languages. Examples of other Oghuz languages are Turkish, Azerbaijani, Qashqai, Gagauz, Khorasani, and Salar. Originally, all Turkic tribes that were part of the Turkic dynastic mythological system (for example, Uigurs, Karluks, and a number of other tribes) were designated "Turkmens". Only later did this word come to refer to a specific ethnonym. The term derives from Türk plus the Sogdian affix of similarity -myn, -men, and means "resembling a Türk" or "co-Türk". A prominent Turkic scholar, Mahmud Kashgari, also mentions the etymology Türk manand (like Turks). The language and ethnicity of the Turkmen were much influenced by their migration to the west. Kashgari calls the Karluks Turkmen as well, but the first time the etymology Turkmen was used was by Makdisi in the second half of the 10th century AD. Like Kashgari, he wrote that the Karluks and Oghuz Turks were called Turkmen. Some modern scholars have proposed that the element -man/-men acts as an intensifier, and have translated the word as "pure Turk" or "most Turk-like of the Turks". Among Muslim chroniclers such as Ibn Kathir, the etymology was attributed to the mass conversion of two hundred thousand households in 971 AD, causing them to be named Turk Iman, which is a combination of "Turk" and "Iman" إيمان (faith, belief), meaning "believing Turks", with the term later dropping the hard-to-pronounce hamza. Signs of advanced settlements have been found throughout Turkmenistan including the Djeitun settlement where neolithic buildings have been excavated and dated to the 7th millennium BCE. By 2000 BCE, various Indo-European peoples began to settle throughout the region, as indicated by the finds at the Bactria-Margiana Archaeological Complex. Notable early tribes included the nomadic Dahae (a.k.a. Daoi/Dasa), Massagetae and Scythians. 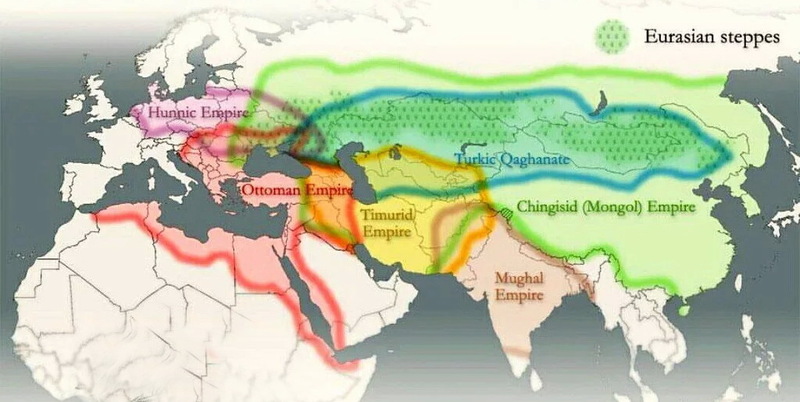 Euroasian Empires established by nomads. The Achaemenid Empire annexed the area by the 4th century BCE and then lost control of the region following the invasion of Alexander the Great, whose Hellenistic influence had an impact upon the area and some remnants have survived in the form of a planned city which was discovered following excavations at Antiocheia (Merv). The Parni, a Dahae tribe came to dominate the region, and established the Parthian Empire, which also later fractured as a result of invasions from the north. Ephthalites, Huns, and Göktürks came in a long parade of invasions. Finally, the Sassanid Empire based in Persia ruled the area prior to the coming of the Muslim Arabs during the Umayyad Caliphate by 716 CE. The majority of the inhabitants were converted to Islam as the region grew in prominence. Next came the Oghuz Turks, who imparted their language upon the local population. A tribe of the Oghuz, the Seljuks, established a Turko-Iranian culture that culminated in the Khwarezmid Empire by the 12th century. Mongol hordes led by Genghis Khan conquered the area between 1219 and 1221 and devastated many of the cities which led to a rapid decline of the remaining Iranian urban population. The Turkmen largely survived the Mongol period due to their semi-nomadic lifestyle and became traders along the Caspian, which led to contacts with Eastern Europe. Following the decline of the Mongols, Tamerlaneconquered the area and his Timurid Empire would rule, until it too fractured, as the Safavids, Khanate of Bukhara, and Khanate of Khiva all contested the area. The expanding Russian Empire took notice of Turkmenistan’s extensive cotton industry, during the reign of Peter the Great, and invaded the area. Following the decisive Battle of Geok Tepe in January 1881, Turkmenistan became a part of the Russian Empire. After the Russian Revolution, Soviet control was established by 1921 as Turkmenistan was transformed from a medieval Islamic region to a largely secularized republic within a totalitarian state. By 1991, with the fall of the Soviet Union, Turkmenistan achieved independence as well, but remained dominated by a one-party system of government led by the authoritarian regime of President Saparmurat Niyazov until his death in December 2006.